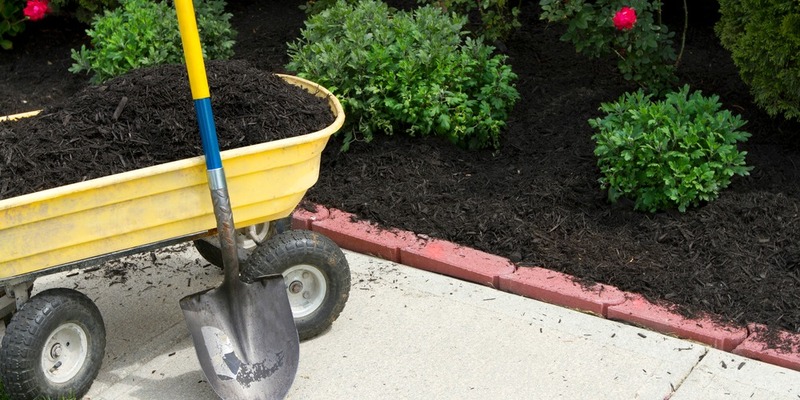 In West Valley City UT, order all your mulch, compost, soil, gravel and other landscaping products – bulk and bagged – from The Dirt Bag. We have a wide selection of materials, including soil and soil amendments, top dressing, play sand, wood chips and gravel. We also supply exceptional quality Utah native sod. We will deliver any of our materials directly to your location of choice in northern Utah. In fact, we will even deliver our bagged landscape products to you for free (throughout Salt Lake County). The Dirt Bag delivers bulk landscaping materials – including garden soil and topsoil, brown and black mulch, play sand, wood chips and soil conditioner – to customers throughout northern Utah. Our fleet of delivery trucks is on the road, day after day, delivering northern Utah’s finest garden and landscape products. Call our office for current inventory and pricing and to place your order. Order in increments of one cubic yard – as much or as little as you need. We will deliver directly to you and unload in the location you indicate. You don’t even have to be home to take delivery, as long as you mark the spot where you’d like us to drop your materials. For the easiest and most affordable bagged landscape products, this is one Dirt Bag you’ll love. We specialize in delivery of our convenient bagged products, including garden soil, screened topsoil, top dressing, mulch, compost and play sand. Our bagged materials come in a heavy-duty one cubic yard resealable and reusable bag. Order online or by phone and we will deliver your products directly to your door. All our Utah garden soils, bark mulches, compost, etc. are sterilized and tested, and designed specifically to work best in our northern Utah climate. Best of all, our prices are the best you’ll find – especially since we deliver all our bagged products for free in throughout Salt Lake County. In addition to bagged and bulk landscaping materials, The Dirt Bag is West Valley City’s sod supplier of choice. Our sod is locally grown and harvested when you order it – you’ll never find fresher, healthier turfgrass than our exclusive Kentucky Bluegrass hybrid. It comes to you on pallets, in convenient 10 square foot rolls. Our minimum order is 2,160 square feet (four pallets). We charge a minimal delivery fee but, if you order 10,000 square feet or more, we will deliver it to you for free. At The Dirt Bag, we’re known for our friendly, helpful staff and hassle-free order process. You can order bagged products online or by phone. For bulk materials and sod delivery in West Valley City, give our office a call or stop by our yard. When you need high-quality, affordable soil, mulch, compost and landscape products delivered to you, remember The Dirt Bag.